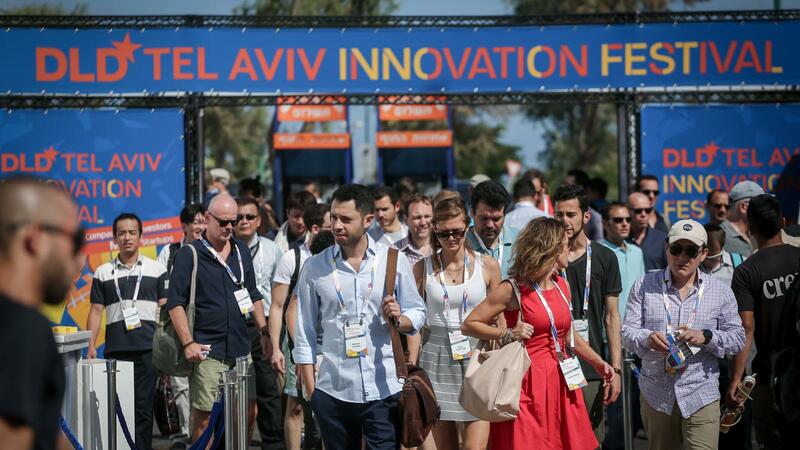 Thousands of high-tech professionals, from just-getting-started entrepreneurs to seasoned investors, have descended upon Tel Aviv for the city’s annual DLD (Digital Life Design) Conference. Now in its fifth year, DLD expects some 10,000 guests from around the world and has 100 events planned, from talks on the main stage (at Tel Aviv’s historic old train station) to an urban street happening with interactive exhibits lining Rothschild Boulevard. Delegations from Google, Samsung, Amazon and Facebook are all visiting Tel Aviv. The event will end with a closing party on the beach. Tech luminary and investor Yossi Vardi co-chairs the conference with Hubert Burda, chairman of Hubert Burda Media Holding in Germany. This year, DLD organizers have added a new focus on food-tech and agtech (agriculture technology). Israel has more than 500 locally founded startups in food-tech alone, according to a DLD news release. A panel discussion on these sectors scheduled for today will discuss the role health and wellness plays in the food and snacks category, and the impact technology can have in supporting people to make healthier choices. Among the tech and foodie delegates coming to Tel Aviv: Gil Horsky, the global innovation lead at snacking conglomerate Mondelēz International (the company that owns Oreo and Toblerone), and Yaron Amar, head of food e-commerce at mega retailer Carrefour. Other panelists will include Yossi Dan, chief innovation officer of Israeli-French consulting firm Challengy and Adi Vagman, venture partner from AgriNation, which invests in agtech and food-tech. “Agriculture today is entering its digital phase,” Vagman says. “As farmers need to grow more food with less resources, the transformation to a more data-driven and efficient industry is a must.” The closing beach party, at 6pm today, is open to the public.